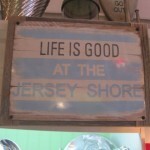 This wooden sign is great to hang in the entryway or any room of your beach house! The very shabby chic combo of a metal sign mounted on heavy, distressed and weathered wood makes this awesome sign especially appealing. 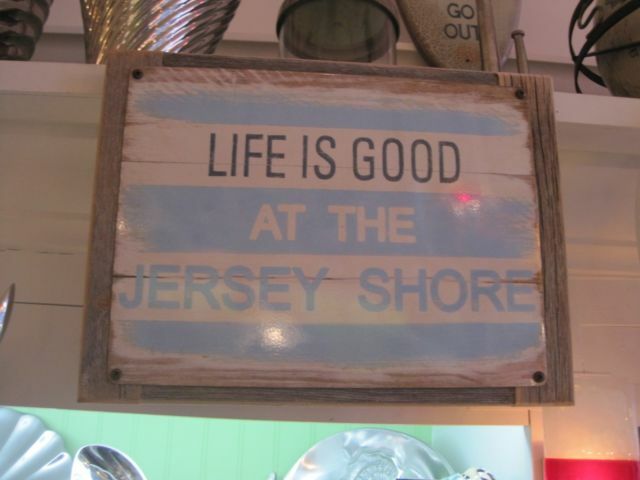 It has a white and blue striped background with black print lettering saying “Life is Good…” and in blue lettering saying “At The Jersey Shore”. The sign is both sturdy and durable. It has a sawtooth hanger on the back for easy hanging. The sign measures 13 1/2 inches long by 5 inches wide. It’s very striking and so beachy!